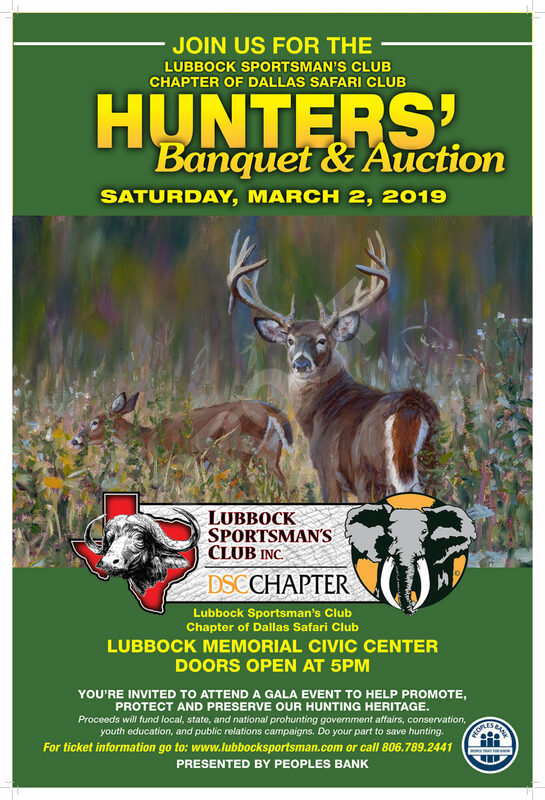 Last year, in 2018, the Lubbock Sportsman’s Club, a Dallas Safari Club chapter of which I am a member, donated over $102,000 dollars to various organizations and projects around the world including much in Texas. A full 12-page booklet details the 2018 donations and lists items such as the club’s donation to the Texas Bighorn Society which works with Texas Parks and Wildlife to restore desert bighorn sheet to the Trans-Pecos region. In the pdf booklet you’ll find details on the club’s donation to Texas Boys Ranch for outdoor and hunting projects; donation to provide body cameras and a drone to Texas Game Wardens; funds and hosting of an event for the Sheep Dog Impact Assistance Project which works with those suffering problems from injury in the line of duty, and; support for such things as 4H shooting, Texas Tech’s Department of Natural Resources, South Plains Honor Flight, and many other worthy causes. Those dollars came from those of you who joined us for the annual Hunters’ Banquet and Auction and participate in the games, raffles, and auctions. 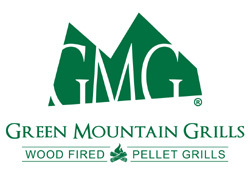 Where did last year’s over $102,000 in funds donated come from? The Hunter’s Banquet & Auction is huge fun and sells out each year and tickets are only sold in advance. 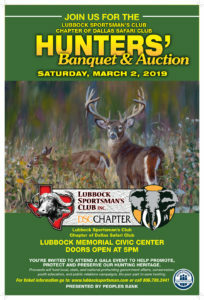 Help us make a big difference for conservation and hunting rights and get your table or individual tickets now at Lubbocksportsman.com. Click here to enter to win tickets from Pratt on Texas.